It’s 3 a.m. and your little one is up with a fever. Should you dare call the doctor in the wee hours of the night? Should you treat the fever with medicine? If you’re a parent, you’ve probably wrestled with these questions more times than you’d like to admit. It’s often difficult to know which next steps to take, especially if your child is too young to tell you what’s wrong. and can actually be a good thing. 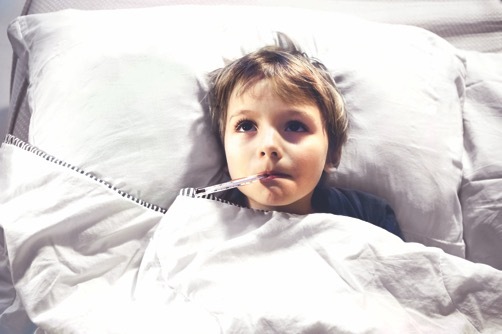 A fever is defined as 100.4° Fahrenheit or higher, and not all of them need to be treated in toddlers and older children. (For infants under 3 months of age with any fever, call your doctor’s office or seek medical attention.) Rest and plenty of fluids often is enough to manage a fever. Has had a fever of 100.4° F or above that’s stuck around for five days or more. Has a temperature (rectal, oral, axillary) of 103° F or higher and you’re concerned. Looks very ill, is very irritable and your parent intuition says something is just not right, no matter what their temperature is. Seems to be really out of it, lethargic, is super drowsy or has trouble breathing. If your child has a seizure, seek medical attention immediately. Has other symptoms that may indicate a bacterial infection, such as a sore throat, headache, ear pain, bad cough, a rash, or a lot of vomiting or diarrhea (especially if they’re not drinking or urinating well).